The AMHA is proud to introduce Tiger Cubs Hockey for the 2018-2019 season. Tiger Cubs Hockey is a fun on-ice skills development program for boys and girls, ages 4 and 5 (born in 2013 and/or 2014). Our program will begin in September 2018 and carry through to March 2019, with ice times on Saturday and Sunday mornings, including games and practices. A year-end awards banquet for all Tiger Cubs! It’s an exciting time for our association and we can hardly wait for the Tiger Cubs Hockey season to start! In-house registration begins on April 4, 2018. For more information, please visit our website at www.auroraminorhockey.com and/or call our office at (905) 727-1480. Start as a Tiger Cub and grow into a Tiger, becoming a part of the Aurora Tigers Minor Hockey Association Family! Q. Who operates Tiger Cubs Hockey? A. The Aurora Minor Hockey Association (AMHA) operates the Tiger Cubs Hockey program. We are a not for profit, volunteer-run hockey association for players, aged 4 to 20. The AMHA offers Representative, House League, and now, Tiger Cub Hockey programs. Generally, our programs will operate from the first week of September through until the end of March. Q. 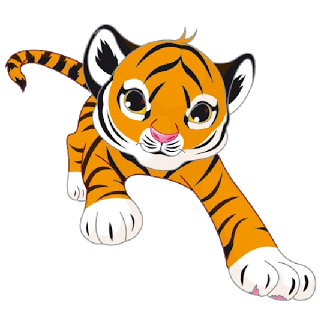 How often will my child play in the Tiger Cubs Hockey? What about in the House League program? A. The Tiger Cubs Hockey program will operate on Saturdays & Sundays; the ice times will be consistent through the season. Players in the House League program, dependent on their age group, will also have consistent ice times through the seasons. Q. How many players will be on a Tiger Cubs Hockey team? A. We believe all Tiger Cubs Hockey players will gain maximum exposure to the program if we limit team rosters to only 17 players/team. There will be two teams on the ice at any given time for all age groups. Q. My child would like to try being a goalie. Can he/she? A. Absolutely. We believe in rotating the goaltending position on a weekly basis, allowing all players (regardless if they’re Tiger Cubs or House League) the opportunity to try goaltending. Q. What is the structure of the 4- and 5-year old Tiger Cup Hockey program? A. We will follow Hockey Canada guidelines and scale down the game for our Tiger Cubs. Put simply, we want to create an environment that is appropriate to a player’s size and age. Studies have shown that cross-ice (width-wise) hockey provides players with six times the amount of shots on net, five times more passes and two times as many one-on-one puck battles and touches. For these young players, the ice surface will be divided cross-ice into three sections. In these areas, players will participate in small games and structured development activities - they will always play games and have fun. Small area games and activities will help keep players engaged in the game without the stamina worries associated with full ice surface skating. Q. How can I get involved with Tiger Cubs and House League Hockey? A. The AMHA will provide each individual who wants to be a team Head Coach on an AMHA team, the opportunity to attend an instructional clinic which will assist them for years to come. We will also ensure that every team has a certified trainer. The AMHA will reimburse these individuals for the cost of the clinics. Perhaps you’d like to be an on-ice helper? For all of those helping on-ice or coaching, a Respect in Sport Activity Leader certificate, a Gender identity certificate and a police screening is required. The AMHA will reimburse these aforementioned requirements for those who are helping on-ice or coaching. Q. What do Tiger Cubs and House League players receive with their registration? A. Players will receive a team jersey, a pair of hockey socks, a team and individual photo, and an end-of-season awards banquet.